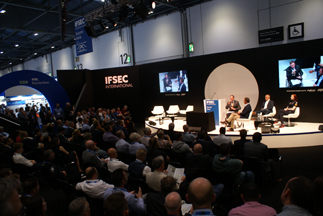 The broadcast security journalist Frank Gardner and counter-terror author Dr Dave Sloggett have been confirmed as keynote speakers for this year’s IFSEC International. It’s running from Tuesday to Thursday, June 18 to 20 at ExCeL in London Docklands. Gardner, awarded an OBE by HM The Queen in 2005, he is the author of three bestselling books; and is pictured left speaking at IFSEC 2018. Dr Dave Sloggett, Alan Taylor Research Fellow at The University of Oxford, has over 40 years of experience in the military and law enforcement sectors, is an authority on counter terrorism, and author of Drone Warfare. Gardner and Sloggett will deliver their presentations in the IFSEC Keynote Arena, host to 21 sessions of a free programme taking in security strategy, case studies and industry influential figures. IFSEC event director Gerry Dunphy said: “We’re delighted to announce such high-profile keynotes book-ending a fantastic line up in this year’s Keynote Arena, where speakers will discuss and debate some of the most topical and critical issues facing the security industry, from cybersecurity and ethical and legal challenges through to extremism, in this year’s IFSEC Keynote Arena. An IFSEC visitor pass gives unlimited access to the Protection & Management Series, which includes FIREX International, Facilities Show and Safety & Health Expo. To register for a free visitor pass to all four shows visit ifsec.co.uk/keynote. In 2020, IFSEC will move to a new date of May 19 to 21 and co-locating alongside it at ExCeL London will be Security & Counter Terror Expo, Ambition and Forensics Europe Expo.